A sophisticated silhouette that brings to mind the glamorous film stars of the forties. 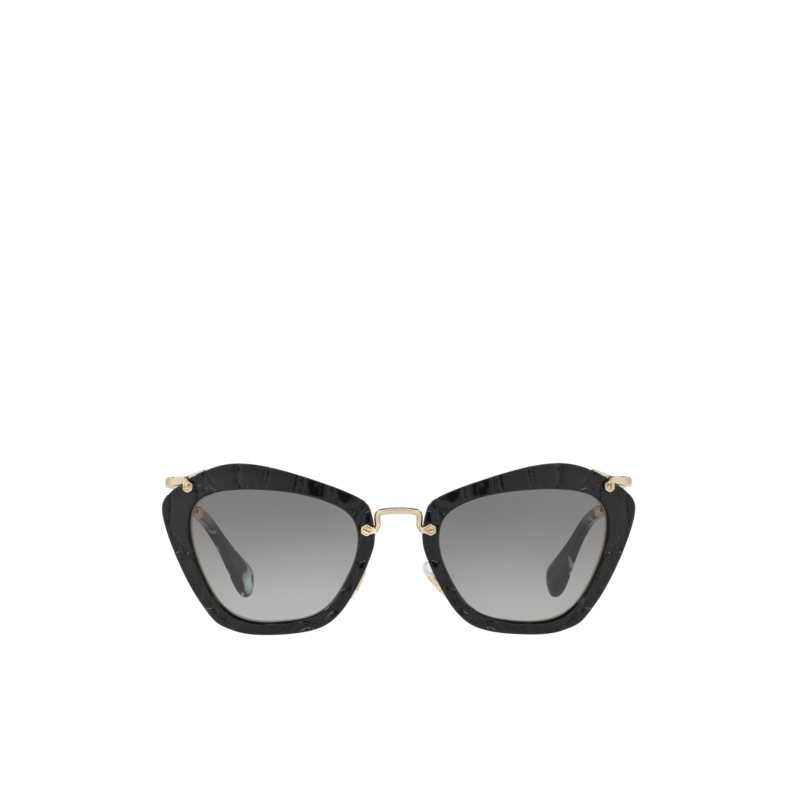 Acetate frame front with distinctive crocodile effect texture. Pale gold-plated bridge and temples. Miu Miu logo engraved on the temples. Adjustable nose pads make this style suitable for any fit.